There is a dearth of talent available to NFL teams who are desperate to land a franchise quarterback ahead of the 2019 season. The big picture: Whether we’re looking at NFL free agency or the 2019 NFL Draft, it’s just a really bad year for quarterback-needy teams. Teams that need a franchise passer: There are at least five teams desperate to land a difference-maker. Miami Dolphins: Ryan Tannehill is all but gone — and quite literally he has been erased from the team’s media room. There really isn’t anyone behind him worthy of being called a starter. New York Giants: Eli Manning is said to be the likely starter in 2019, but he’s well past his prime. Alex Tanney and Kyle Lauletta are not the answer. Washington Redskins: Alex Smith won’t play in 2019, if ever, and Washington can’t rely on Colt McCoy for an entire season. Jacksonville Jaguars: Blake Bortles is on his way out. There’s really nobody behind him who can give this team a fighting chance every week. Denver Broncos: The Case Keenum experiment went poorly in 2018. John Elway is said to be hot for Drew Lock, but Denver might have to move up to land him. Teams that should hedge their bets: There are at least five other teams that would be wise to upgrade. New England Patriots: Tom Brady will be 42 next season. Brian Hoyer isn’t going to win many games if Brady goes down. That is all. Oakland Raiders: Derek Carr is on shaky ground right now. The Raiders have nobody reliable behind him. New general manager Mike Mayock has to consider hedging here. Tennessee Titans: Marcus Mariota has been pretty bad the past two years and cannot stay healthy. Tampa Bay Buccaneers: Bruce Arians might fix Jameis Winston, but so far nobody else has been able to get him to stop turning it over. Cincinnati Bengals: Andy Dalton is about as exciting as lukewarm oatmeal. New head coach Zac Taylor has his work cut out and might be secretly looking to upgrade. 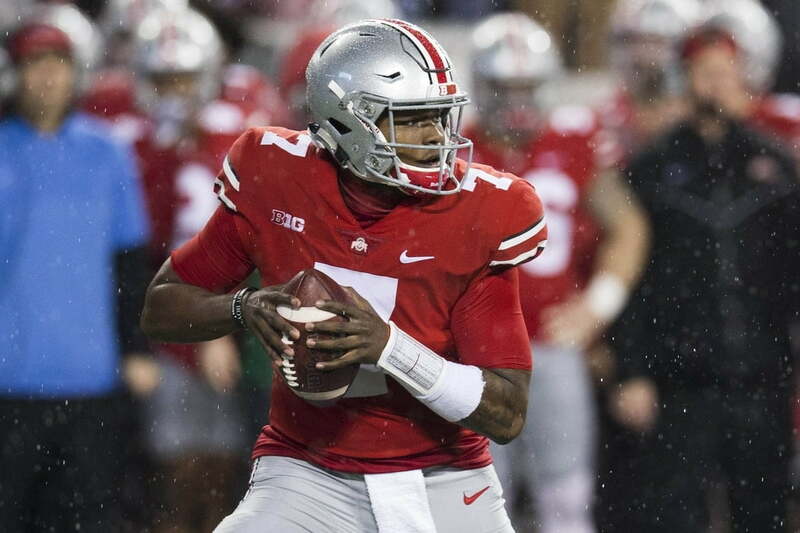 What the 2019 NFL Draft offers: Most of the best passers this year come with some big red flags. Dwayne Haskins: The best pure passer in the draft. Big, strong, and accurate when his feet are set. Also showed he can play big in big games. Drew Lock: Has the physical traits, and put up big numbers at Missouri. But his accuracy and decision-making can be really scary. Daniel Jones: This Duke product has enticing traits and can certainly sling it. But he fell short of completing 60 percent of his passes at Duke and threw 29 interceptions the past three years. Kyler Murray: A likely first-round pick due to his electric dual-threat abilities. Murray also comes with red flags due to his height (just under 5-foot-10) and the fact that some view his father as a LaVar Ball type of control freak. NFL free agency: The cupboard is pretty dry. Nick Foles: Everyone knows about Foles’ playoff prowess. But it would be foolish to assume he can jump into a new situation and perform like he did in Philadelphia. Still, he’s clearly the best option for a short-term fix. Teddy Bridgewater: Once seen as a promising young star, it remains to be seen in Bridgewater can become a full-time starter again and win consistently. His lone showing this past year in New Orleans was not promising. The rest of the pack: Outside of Foles and Bridgewater, all you’re going to find is temporary bandages. Even Joe Flacco, who will either be traded or released, isn’t more than that. Bottom line: Quite simply, there will be more teams that end up not getting what they need at this most critical of positions next year. Once Foles signs in free agency, the scramble to move up in the draft and secure one of the top draftable quarterbacks will be a sight to behold.